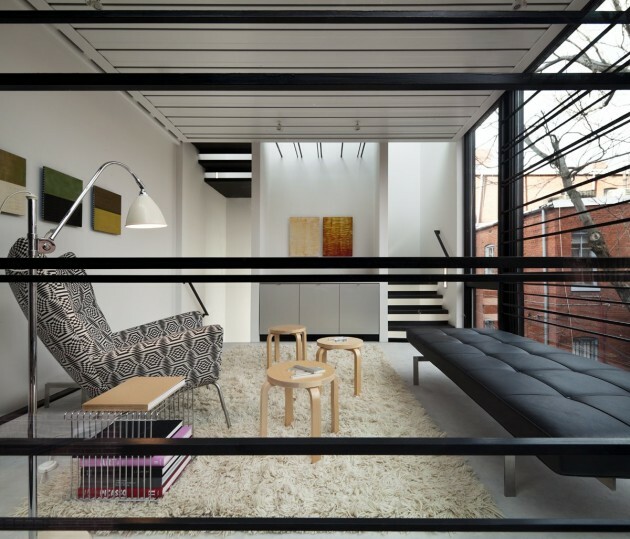 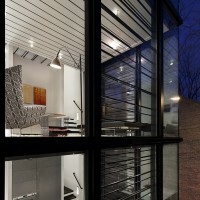 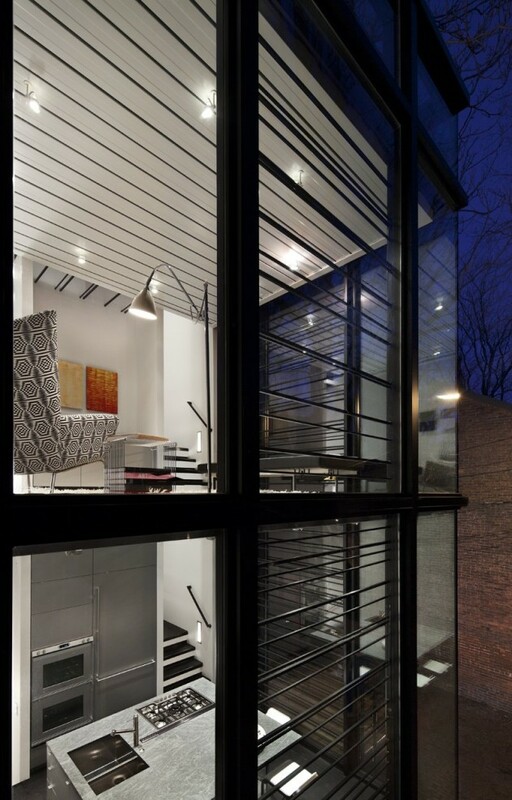 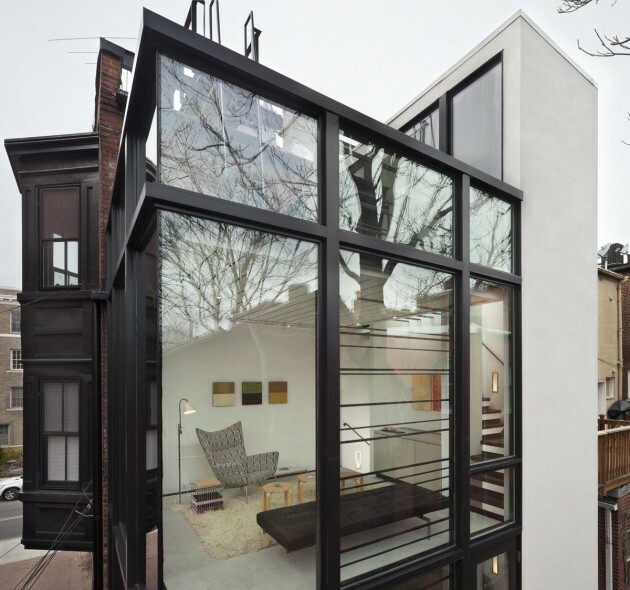 David Jameson Architect designed the Barcode House in Washington, D.C.
Barcode House explores juxtapositions between the heavy and light and the old and the new. 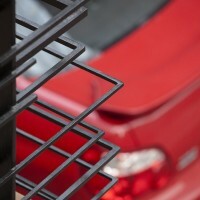 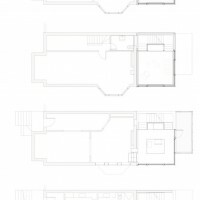 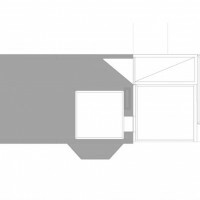 The work is formed by positioning the project’s diverse pressures into a unique situational aesthetic. 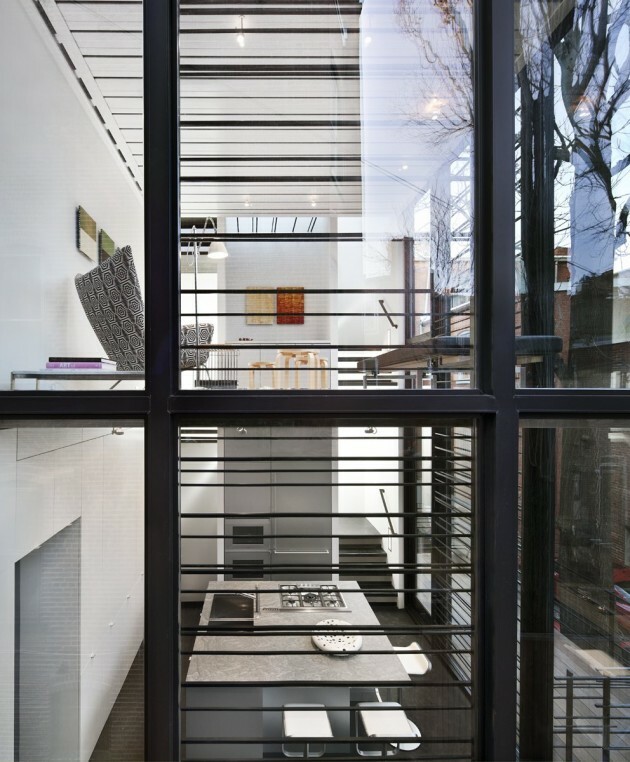 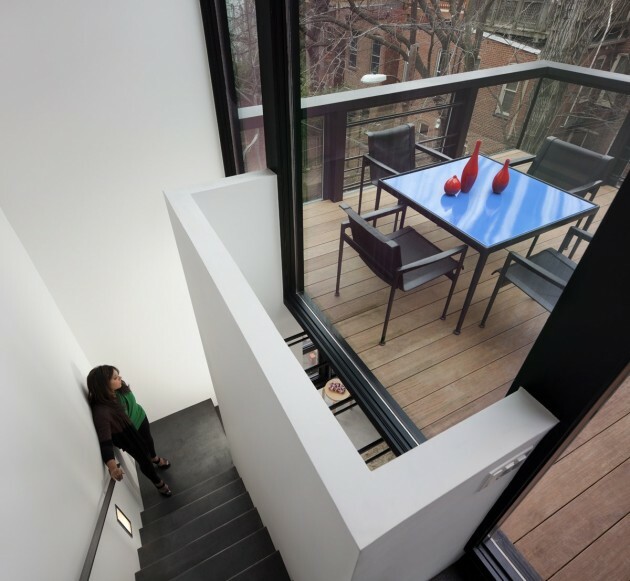 Brittle masonry walls of the existing Washington, DC row house governed that the addition be engineered as a freestanding structure. 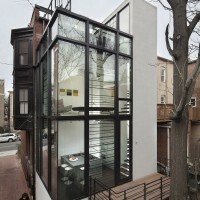 Site constraints dictated a vertically oriented spatial solution. 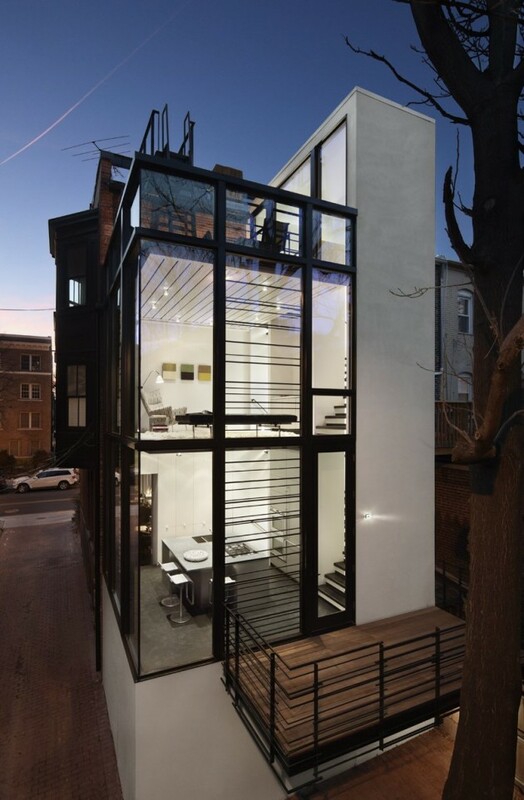 The client’s desire for transparent living space generated the opportunity to create an integrated solution for lateral force requirements. 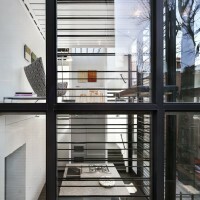 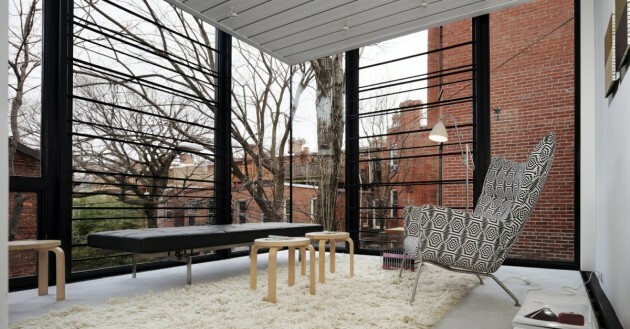 Structural steel rods within a glass window wall are aligned with datum lines of the neighboring building elevations. 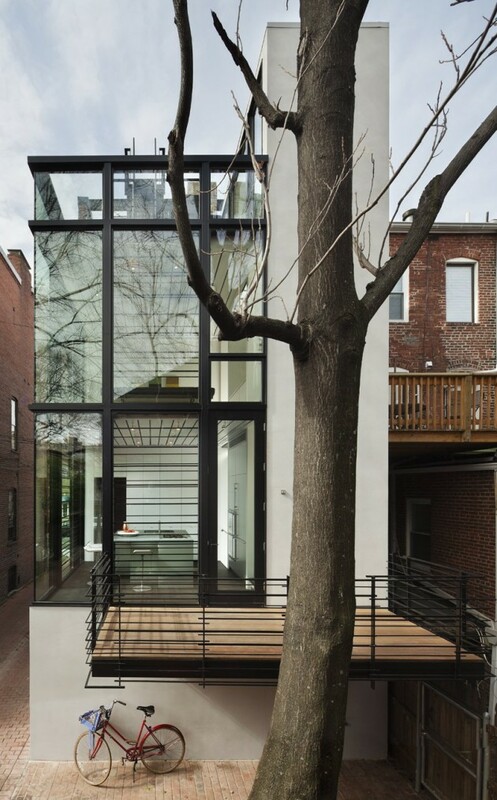 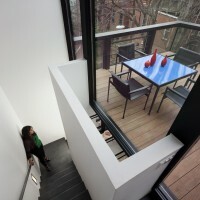 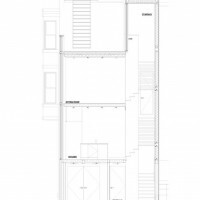 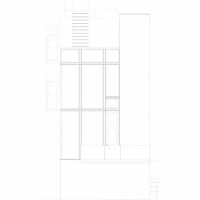 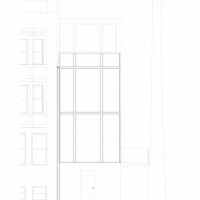 A stucco circulation tower anchors the living space to the existing row house.